A unique exhibition now showing at Yarra Ranges Regional Museum showcases the hauntingly beautiful collaboration between two-time Archibald Prize winner Del Kathryn Barton and acclaimed filmmaker Brendan Fletcher. Their work traces the compelling interpretation of Oscar Wilde’s 19th century classic The Nightingale and the Rose through a sophisticated and nuanced artistic lens. 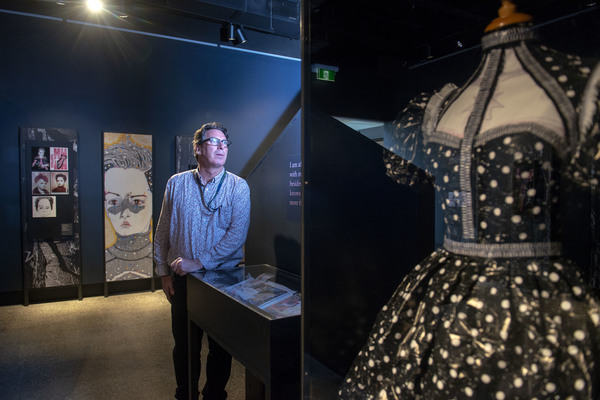 Audiences can view the 14-minute animation within the exhibition space, and then make their way through a lush display of objects and artworks that explore the workings behind this production. Museum program director Patrick Watt spoke to the Mail about the artistic style and elegance of the film and artwork. “Barton is a fan of Oscar Wilde and she decided to interpret through art one of Oscar Wilde’s short stories which was The Nightingale and the Rose,” he said. “She started talking to some people about the project, and spoke to a film maker. “They decided to animate her artwork and brought in other people and created a film based on the story and using her artwork. Produced over the course of two years, Barton’s art collection reimagines Wilde’s narrative in her enchanting signature style. Over the next three years, Barton would meet with film maker Brendan Fletcher and work with award-winning post-production house Method Studios to create their 14-minute animation. A remarkable take on Wilde’s earnest tale, the final production is an intense but stunningly ethereal and visceral journey. With a stirring score by Australian singer-songwriter Sarah Blasko and voiced by some of Australia’s most celebrated actors, including Geoffery Rush, Oscar Wilde’s The Nightingale and the Rose is a feat of multidisciplinary, collaborative art practice. 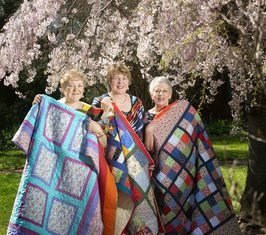 This exhibition will be on display at the Yarra Ranges Regional Museum until 3 February.